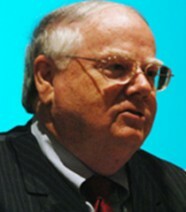 Stephen W. Gibson is an author, entrepreneur, philanthropist and retired university professor. He created a business academy in the Philippines that now has 10,014 graduates in seven developing countries. His latest social innovation is geared toward opening 50 birthing center clinics in rural areas of the Philippines to serve 1.7 million mothers each year, the majority of whom are poor and disenfranchised. In addition to the Philippines, Steve has spent a great deal of time working in Mexico, Peru, Cambodia, Czech Republic, Indonesia and Honduras.